Experience the original trilogy like never before in clear, high-resolution re-drawn graphics and immersive 3D visuals. 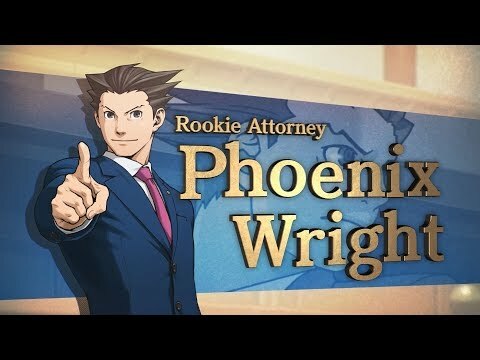 Join rookie lawyer Phoenix Wright through the early years of his career in his quest to find the truth behind all of the classic cases! Prepare for intense courtroom showdowns by investigating crime scenes, collecting evidence, and questioning witnesses. Use evidence and the testimonies of witnesses to your advantage as you battle for the innocence of your client. Nothing less of a full acquittal will do in this court of law. Find the contradictions in witnesses' testimony to expose the truth! Phoenix Wright: Ace Attorney Trilogy was released on Switch 11d ago in the US and the UK. Based on 1 Phoenix Wright: Ace Attorney Trilogy Switch reviews, Phoenix Wright: Ace Attorney Trilogy gets an average Switch review score of 75. The score for all versions is 75 based on a total of 4 reviews. Phoenix Wright: Ace Attorney Trilogy is a solid collection of courtroom dramedies, but far from essential for fans.